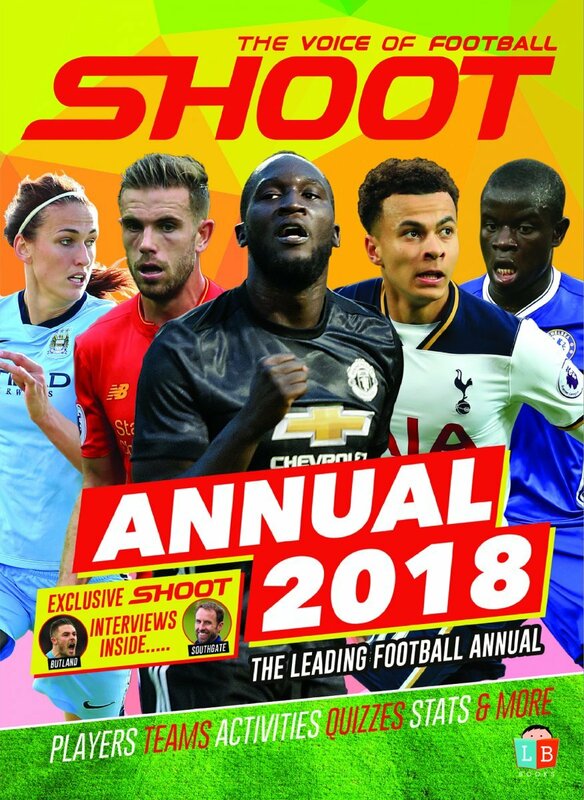 Here at SHOOT we pride ourselves on reviewing those players who are most fondly remembered by football clubs up and down the land. 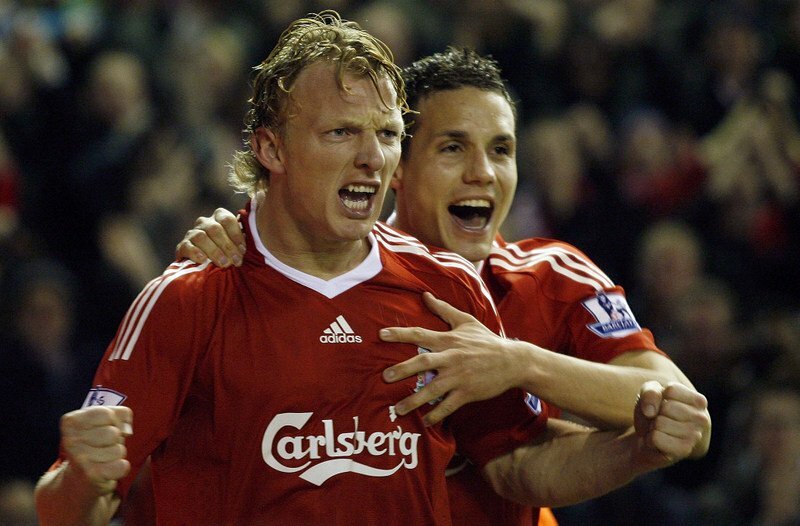 Celebrating his 38th birthday this evening is Liverpool hero Dirk Kuyt, as we look back on the Dutchman’s super spell on Merseyside between 2006 and 2012. He ended his six-year spell at Anfield with his only piece of silverware at The Reds, helping Liverpool defeat Cardiff City 3-2 on penalties in the 2012 League Cup final at Wembley Stadium. A fitting way to wave goodbye to the much loved Holland international, who played an impressive 104 times for his country. Born in Katwijk, Netherlands, Kuyt began his career with Utrecht, where he spent five years at the club, winning the KNVB Cup in his final campaign. In 2003, Eredivisie outfit Feyenoord bought the forward for €1m, where he became captain a couple of years later and was their top goalscorer for three consecutive seasons. 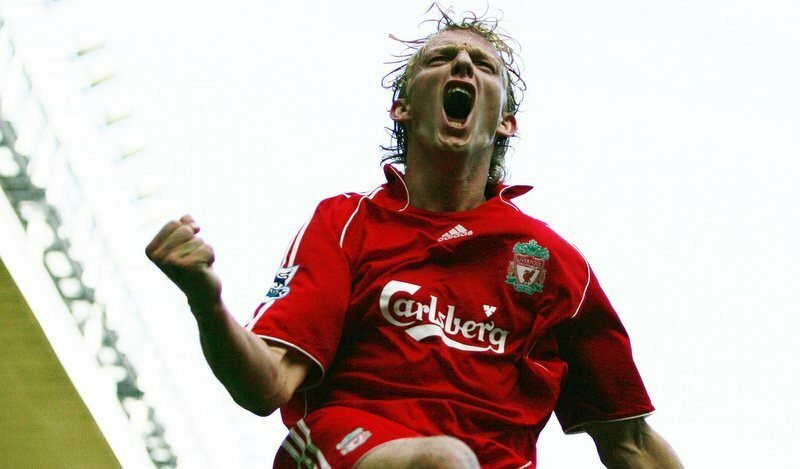 The striker finished as top goalscorer in the Dutch top-flight in 2004-05, and Kuyt was named Dutch Footballer of the Year in 2006, as well as winning the Dutch Golden Shoe award twice (2003 and 2006). His prolific form in his native Netherlands alerted Premier League club Liverpool to his services, who swooped for Kuyt in August 2006 in a deal worth £10m. In the following six years on Merseyside, the Dutchman bagged crucial European and League Cup strikes for The Reds, scored braces and hat-tricks against bitter rivals, as well as converting precious penalties from the spot. Despite arriving as a forward, then Liverpool boss Rafael Benitez moulded Kuyt into a dynamic wing-back/winger, though he still scored 14 goals in all competitions during his debut term at Anfield, as fans instantly took to the Dutchman due to his relentless work rate, likeability, pride and passion for the club. Kuyt scored the winning spot kick against Chelsea in the UEFA Champions League semi-final in 2006-07, earning him a first-team spot against AC Milan in the final in Athens. He netted The Reds’ 89th minute consolation goal as Milan prevailed 2-1 victors in Greece. The best players step up to the big occasions, and that is exactly what Kuyt constantly did at Liverpool, netting a penalty brace against Merseyside rivals Everton in October 2007, including the 92nd minute winner to seal a late comeback derby day victory. In the 2008-09 season, Kuyt scored 15 goals and provided 11 assists in all competitions for The Reds, as the right winger established himself as one of the first names on the teamsheet and a firm fans’ favourite. 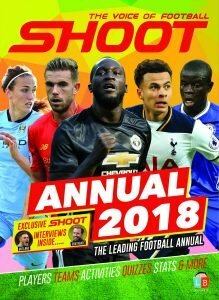 The Dutchman seemed to love facing The Toffees, as he netted against the blue half of Merseyside in both derbies during the 2009-10 campaign, shedding a little bit of light on a poor season at Anfield, as Liverpool finished seventh in the Premier League table, seeing boss Benitez leave by mutual consent. Another tally of 15 goals and eight assists followed during the 2010-11 campaign, including an unforgettable hat-trick against rivals Manchester United (3-1) in March at Anfield. Then, of course, his final 2011-12 term at Anfield. Having gone the previous five seasons without any silverware, it was destined for Kuyt to play a key role in Liverpool’s 2012 League Cup triumph. The winger scored in extra-time, and then converted his spot kick, as The Reds fought off Cardiff 3-2 in a penalty shootout to collect his first winners medal with Liverpool. He scored 71 goals in 285 appearances for The Reds. Kuyt departed the club in June 2012, after agreeing a three-year deal with Turkish giants Fenerbahce, where he went on to score 37 goals in 130 games overall for the Super Lig outfit. In April 2015, the Reds hero returned to former club Feyenoord on an initial one-year contract, but he thankfully stayed long enough to help the club win their first Eredivisie title since 1999 by scoring an incredible hat-trick against Heracles Almelo on the final day of the 2016-17 season to clinch the trophy ahead of Ajax. Just three days later, Kuyt announced his retirement from football. A man for the biggest of occasions, Kuyt will be fondly be remembered as a Club Hero at Liverpool, as well as Feyenoord! So much so, the former Liverpool forward was rewarded with a testimonial match in Rotterdam back in May, and Kuyt has now been appointed coach of Feyenoord’s Under-19 side ahead of the 2018-19 season. 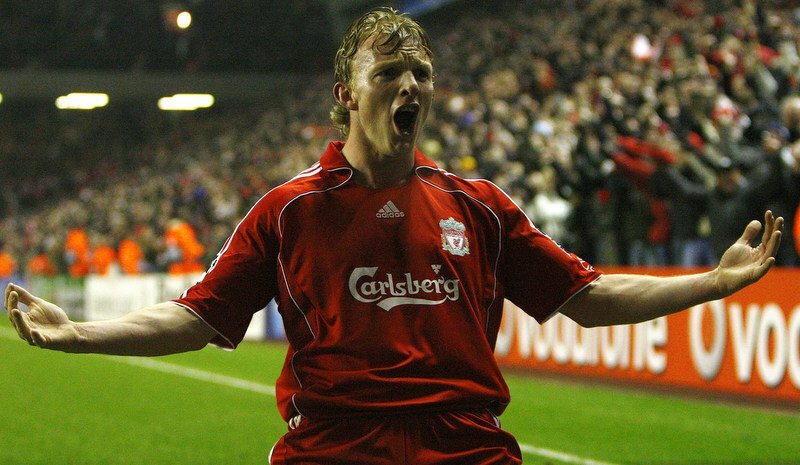 So, following his successful six-year spell at Anfield, don’t rule out Kuyt returning to Liverpool in the dugout just yet!